Ball One – Rather like an ageing relative who always turns up at 6.00pm on Christmas Day with a bottle of Scotch for a little light conversation, a turkey sandwich and a mince pie, the county cricket season got underway with the familiar minimum of fuss and fanfare. It’s a comforting rather than compelling presence just now and, like the Grand National and the US Masters, it marks the start of the sporting summer. I enjoyed the opening day’s play at The Oval, but I had one eye on the football and concentrated more on catching up with friends than the actual cricket. Which is how things should be. Ball Two – Chris Rogers was brought back down to earth after his Ashes exploits and Wisden Cricketer of the Year accolade, as his Middlesex team were routed by an innings and plenty at the hands of Sussex. Seamers need to know where to put the ball in April in order to take advantage of the nibble and wobble of an English Spring, so it was no surprise to see 18 Middlesex wickets fall to James Anyon (30), Steve Magoffin (34) and Jon Lewis (38) – nous, not pace, the key to their successes. Ball Three – Though I may not need to ensure that my mobile is charged around the time that the first England squad will be announced come May, there’s hardly an England qualified cricketer who won’t harbour at least a twinge of expectation after The Winter of Discontent. Two men whose winter was, well, disastrous, were seeking to advance their cases at Hove and – much to the pleasure of many – did so. Matt Prior, without the gloves and batting at four, made 125 in just 50 overs at the crease, the fluency at long last returning after his awful 2013. Steven Finn, whom we were led to believe could barely hit the cut strip in Australia, took six consecutive wickets to give Middlesex some hope. 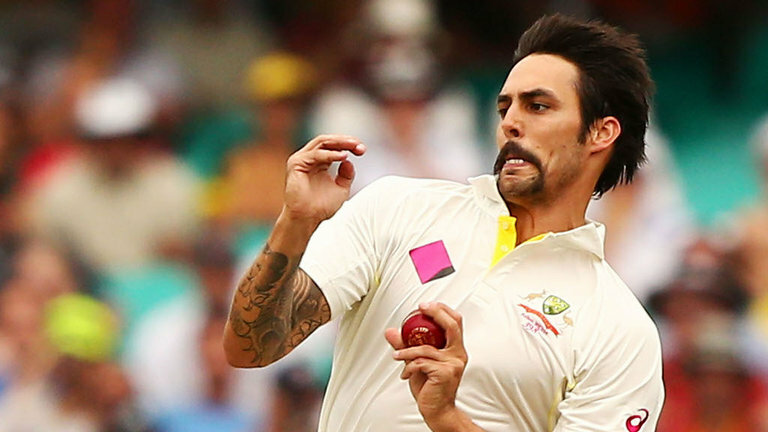 The tall pacer is still only just turned 25 – or, if you prefer, over seven years younger than Mitchell Johnson. He has plenty of time to come again in Test cricket – as Jimmy Anderson did after his mid-career spell out of favour. Ball Four – At Trent Bridge, Lancashire’s return to Division One cricket saw Paul Horton’s men put up a spirited chase of 349 on the final day, Ashwell Prince the last man out for a round 100 with his team just 46 short. The veteran South African will need to make plenty more tons if Lancashire are to survive in the top flight, with last season’s top scorer, Simon Katich, now retired. Much is expected of new signing, Jos Buttler, but he won’t play all the LVCC games, so the Committee may well have to look for an overseas player to fill the gap come the second half of the season. I wonder if David Warner or Steven Smith might fancy topping up their experience of English conditions prior to 2015’s Ashes? They, and Lancashire, could do a lot worse. Ball Five – With fewer than ten overs possible during the first two days at The Rose Bowl, there was never going to be enough time for Hampshire or Worcestershire to force a result – so attention turned to more personal matters. Discarded England man (I’ll be cutting and pasting that phrase a few times over the coming weeks) Michael Carberry, had been making noises about his treatment at the hands of the England management, but couldn’t back his words with deeds, contributing just six runs for twice out. There’s plenty of time for him to prove himself (again) before the selectors get round the table with more decisions to make since the hokey cokey squads of the 90s. One name unlikely to crop up is Daryl Mitchell – but the Worcestershire captain made 172* and stranger things have happened in English cricket over the last six months. Ball Six – Back at The Oval, Zafar Ansari batted on all four days (well, he edged the one ball he faced on the fourth and trudged off) but that personal feather in the cap was overshadowed by an all too familiar Surrey collapse in a deflating second innings total of 81, of which 27 were attributed to extras. It’s yet another new dawn in South London, but whether it’s right to trust in the teenage Dominic Sibley and the 22 year-old Ansari at 3 and 4 – on a sappy seaming strip to boot – is debatable. But credit to Glamorgan, for whom that most resourceful (and experienced) cricketer, Jim Allenby, delivered 30 overs to earn four first innings wickets at a cost of just 47 runs, then backed it up with a first dig top score of 52. Two more 30-somethings, Graham Wagg and Michael Hogan did the damage with the ball, before the Welsh county’s openers cruised home. Absolutely awesome post. You are such a good writer! I love the humor and vocabulary!